Happy opening day! 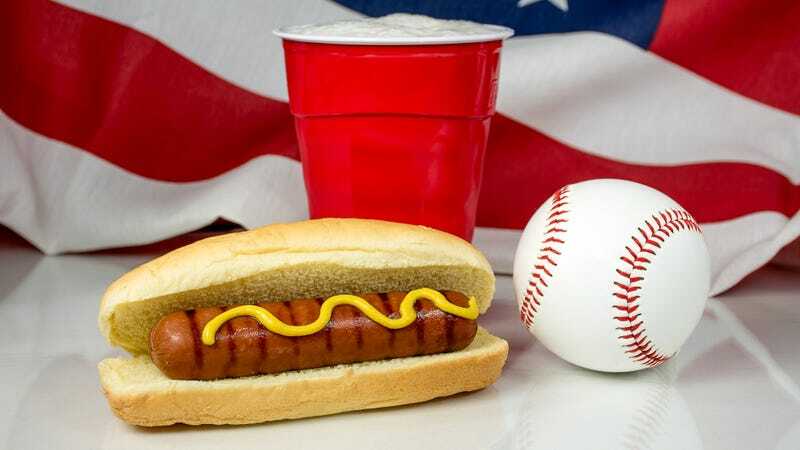 In honor of the return of America’s favorite pastime, the National Hot Dog And Sausage Council (file under dream jobs) posted the lineup of 2019 MLB Ballpark Hot Dogs on Facebook. After all, says the council, 18.3 million of these suckers will be consumed at parks during this baseball season. Many parks are hosting bacon-wrapped dogs, but some take even that to the next level. Like the Texas Rangers’ 2-feet long Boomstick Dog (yes, everything’s bigger in Texas, we get it). The Arizona Diamondbacks are merging meat products with the Cheeseburger Dog and the Chicken Enchilada Dog. The Baltimore Orioles add a seafood element to the hot dog with the Crab Mac ‘N Cheese Dog. Our beloved Chicago Cubs are offering a whole hot dog menu with the Wrigley Dog, Pilsen Dog, Bao Wao Dog, and Kimchi Dog (that last one sounds especially delicious). So scroll though this delicious portrait gallery of dozens of different dogs, and then plan that hot-dog-adjacent road trip to your favorite team’s away game.